These days direct mail is unexpected. One of the most basic ways to get attention is to break a pattern, creating the unexpected. Consumers in this age of online marketing and social media see staggering amounts of digital information every day, so what is more unexpected than receiving a piece of direct mail? That’s breaking a pattern. Direct mail marketing has been out of vogue long enough to be a novelty again. In fact, some B2B prognosticators predict a return of direct mail in the coming year as a multichannel differentiator used by savvy marketers. RELATED: You want to send a letter? In the mail?! With renewed interest in integrating direct mail into multichannel marketing, it’s a good time for a direct mail refresher. Here are slides from a presentation I gave at the University of Minnesota College for Continuing Education on direct mail strategy and execution. How is this being done today? One case study using these tactics tells a compelling story of how well multichannel marketing can work. A new restaurant franchisee used integrated direct mail and social media to bring traffic to the new store. They mailed 5,000 targeted post cards printed with PURLs that contained the customer’s name in the domain. Customers were instructed to go to the microsite to activate a discount coupon. The microsite contained more coupons for additional discounts as an added reward for participating. The customers were incented to share the offer with friends on social media. By sharing, they were entered into a sweepstakes to win free chicken meals for a year. The campaign resulted in more than 14,000 visits to the microsite. That’s a 280 percent response from the original mailing of 5,000. As you can see, there is great potential for leveraging direct mail with digital marketing channels. And, the prevalence of digital marketing makes direct mail seem new again. Unexpected, even. 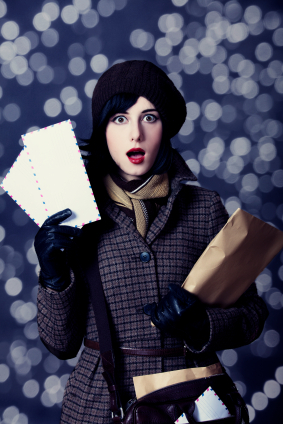 What are your plans for direct mail this year?